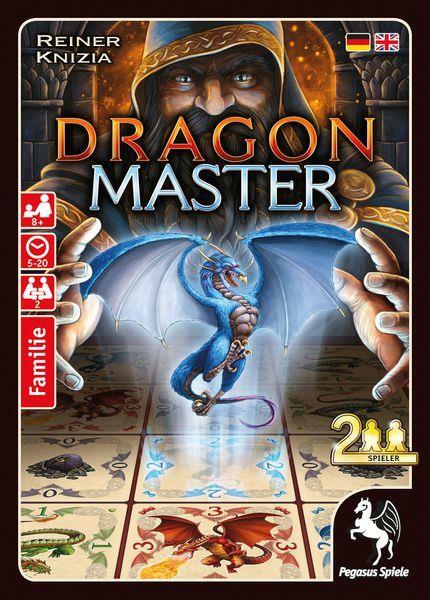 A game that is designed by a big name (Reiner Knizia), and originally published and released in Korea for the first time. Two players each try to build stronger rows and columns of numbered tiles into an imaginary 5 by 5 grids. At the end of the game, compare the weakest row and column from both players to determine the winner. 1) There are only 20 dragon cards in the deck. Players are each dealt 8 cards; the remaining 4 are discarded without the players knowing their values. 2) The grid size is only 4x4, rather than 5x5. 3) Each row or column is worth the sum of its values. A pair of cards in the same row/column counts as 10x the value (e.g., 2 "2" cards in a row would be worth 20 points). Three or more cards of the same value in a row/column scores 100 points.